I’ve never designed a fireplace environment before. The current stone surround in our new-to-us home is not pleasing to either my husband or me. It’s dirty, but cleaning won’t be enough. It’s very dimensional, rough stone, and overpowers the wall. Next week, all but the fireplace itself will be torn out. Even the brass front is going. But what do I like? What does B appreciate? How do we blend that? The good news is that we have twenty-four solid years making home decisions together. We’ve lived in seven different houses during this time. This will be our eighth–but the first where the fireplace setting was so displeasing that we felt the need to do more than simply paint. There are so many materials available–way too many, really, so it was hard to know where to start. We found a website with tens of thousands of home ideas: http://www.houzz.com. We paged through hundreds of photos. It was a 21st century event: we sat next to each other in our comfortable living room recliners–each perusing the same website–and passed our iPads back and forth, responding to other people’s fireplace solutions–delightful fun, with quite a bit of chuckling involved. It’s fascinating to watch the sorting process. This is a task where the mind is very helpful–minds are so good at responding to this and that–judging, rejecting, or being drawn toward. I love inviting the mind into projects where its strengths are both useful and required. Over a couple of hours, we developed a feel for what we like in common in the realm of fireplace settings. We have a precious friend–he married us–who works with wood with an elegant Buddhist eye. We called and left a message today, because it dawned on me that he might provide amazing mantlepiece ideas. I hope we can invite him to make one. We also successfully replaced a toilet today! The renovation process has begun, one delicious moment at a time. 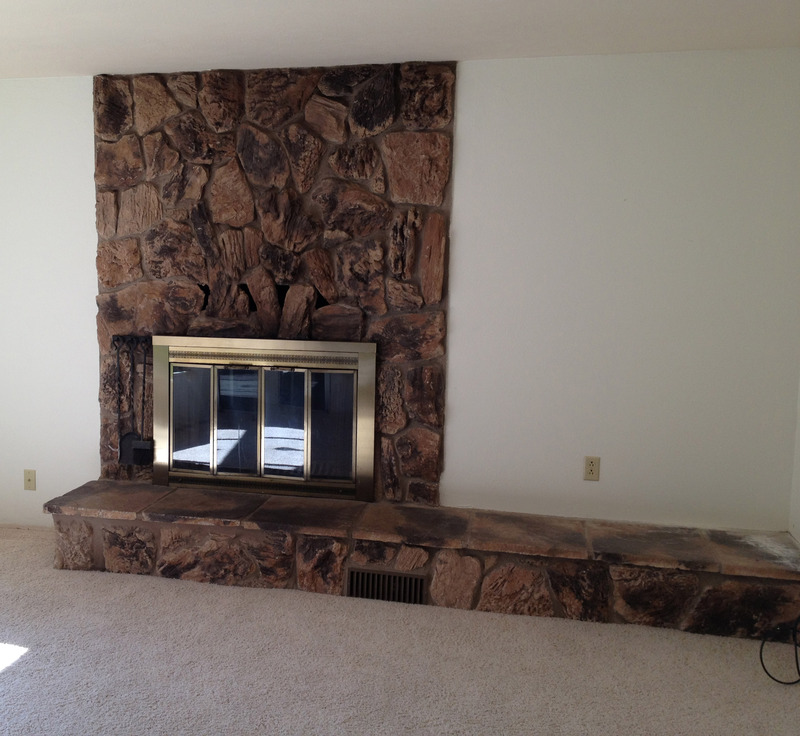 The photo is of our current, soon-to-be-removed fireplace surround.